Reading, Writing, and the Stuff In-Between: Erin Howard and Free Books! Congratulations! I'll email you for your snail mail address, and (assuming you live in the U.S.) we'll get your books right out to you. I encourage readers to keep commenting and/or subscribe at right (above my list of books) in order to learn about new releases! U.S. subscribers are entered in the drawings a second time when they comment. 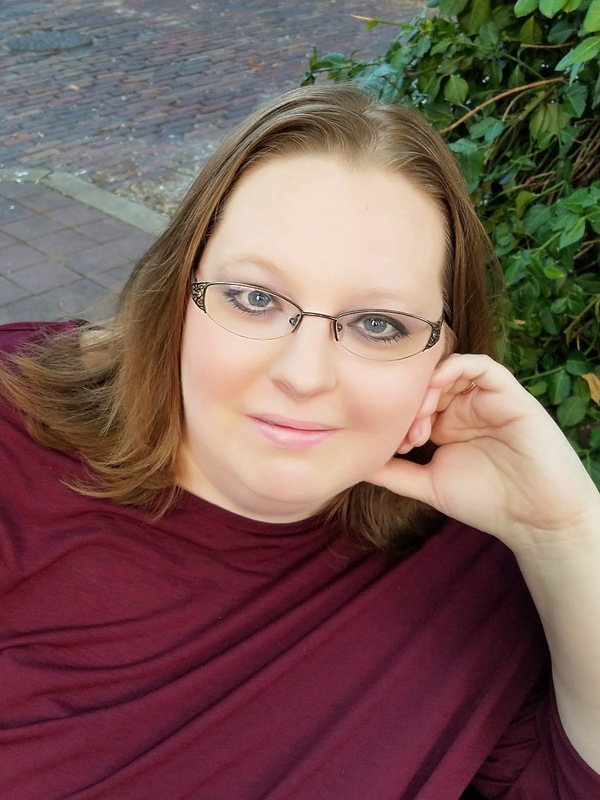 And now let's meet novelist Erin Howard, author of the supernatural fantasy novel, The Soul Searcher (Mantle Rock Publishing, February 2019). Erin R. Howard is a developmental editor, fantasy author of The Kalila Chronicles, and has earned a Bachelor’s degree in Creative Writing/English from Southern New Hampshire University. When she's not writing, Erin enjoys spending time with her family, fueling her craft addictions, and teaching writing workshops. I wanted to learn how to crochet because I always saw my Nanny crocheting. She tried teaching me when I was little, but I finally taught myself by watching YouTube videos. That's fantastic that the YouTube videos did the trick for you. I remember that one of my many never-finished craft projects was a crocheted animal. I think I got the top of the head done before moving on. So I essentially crocheted a doll-sized yarmulke. Sigh. 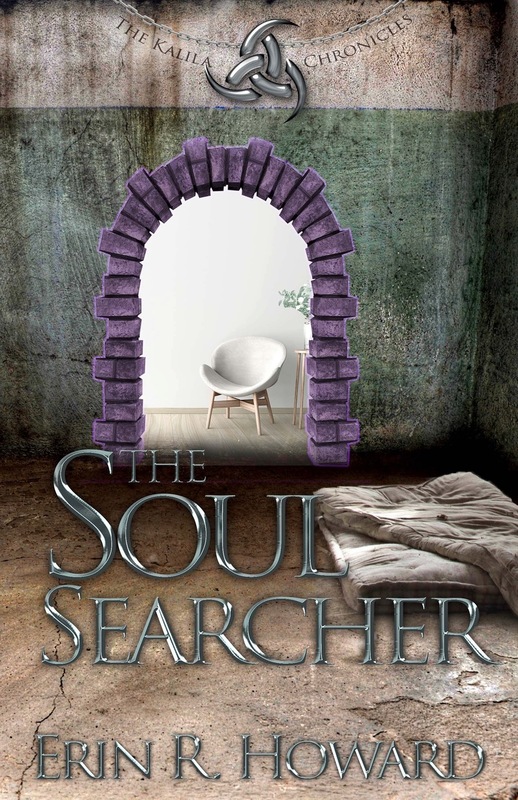 Please tell us a bit more about the plot of The Soul Searcher. The Soul Searcher is the second book in my series, The Kalila Chronicles. It picks up immediately after the first book, The Seer and doesn’t slow down. In the first book, a teenage girl named Thea is thrown into a world of ancient societies, demons, and angels. The series started out as an assignment for a writing workshop where I had to write from a villain's or unlikely hero’s view. In book two, there are new threats and dangers for the group, and a more in-depth look at a new character, Elnora. I’m really excited about Elnora’s story. What is it about Elnora that will make your readers care about her? Elnora has faced circumstances that she had no control over and the results of those circumstances have touched every aspect of her life. But now, when the stakes are raised even more, and Elnora finds herself kidnapped, we get to see how Elnora reacts and walks through these changes. I think readers will be able to connect with her because we all have things that we go through that we don’t have any control over. The slam of the front door echoed in the small living room with such a finality that Elnora wanted to reach out and take it back. To tell Thea she changed her mind and she needed to go with them. I’m currently reading Unblemished by Sara Ella. So far, I’m really enjoying the book. If you like fantasy, and portals that take you to new places, you will probably like this. I’m working on book three of The Kalila Chronicles, and a new novella series. I love to connect with readers and other authors! 1) For fun or escape. 2) Deeper meanings for challenge or growth. Thank you, Erin, for visiting and telling us about yourself and your book. Readers, Erin has offered to give away a free e-copy of her novel. To enter, leave a comment and your email below in answer to Erin's question, above. "Please enter me" won't get you entered. Remember that U.S. subscribers are entered an additional time in each drawing. The drawing is done by email, so leave your email address, like so: trish[at]trishperry[dot]com. I love reading. It takes me to places either in past history (I love) or places I may never see or visit. I also love sweet romance. I Do Not like hot and steamy, only simple and sweet. It has been hard for me to read books about non-existing places and things. I do love Christian books such as The Pierce in the Darkness and The Present Darkness. Are your books similar to these? Hi Tabitha! I love to read about places that I may not see either. ☺️ However, the locations in my series are real places that all have special meanings to me. Readers have told me that my books remind them of The Pierce in the Darkness and The Present Darkness. I also love reading - cozy mysteries, historical fiction, and unique stories. I agree about Tabitha's reference to This Present Darkness and Piercing the Darkness. Those books made me think about the angels moving around us at God's beckon call. If your book brings a similar awareness, I know I'd enjoy it as well. I read because I love it, I like being enveloped into a story and it's creativeness and characters. And if I can learn more ways to grow as a believer and learn more about history, then that's a bonus and time well spent. Hi Lori! I love getting lost in a story world, especially one that challenges you and makes you think. I hope that readers will not only be able to escape in my stories but also find a little bit of themselves in the characters and know they are not alone. Amy Anguish, sometimes you just need to sit down with a good book and forget about everything else for a little while. There's nothing more relaxing for me! Amy Blake, very true. What's going on in my life at the moment usually is a deciding factor on what I'm reading. Unless it's a book that I've been waiting for the release, and that will trump whatever else is going on. Sometimes I get into a kick of reading a particular genre because of the particular escapism involved. Thrillers, for example. Then I realize that I can't remember many differences between the last several books I've read! So I switch gears to keep the reading interesting and to keep each book special in its own right. And sometimes I feel like too much time has gone by without my reading a classic, so I'll hunt a good one down. The classics generally require a bit more attention, and I like that too.